Nokia has announced a couple of new additions to its budget range: the C2-01 and the X2-01, both running Symbian S40. Unless you're desperate for a full QWERTY keyboard, the C2 is clearly the better of the two, with 3G connectivity, an FM radio, Bluetooth and 12 button standard keyboard below a two inch screen. It also comes with a 3.2MP camera on the back, as well as up to 16GB of onboard storage - all for around €70 (£60). The X2 eschews the 3G and FM radio, and instead goes on the social networking tip, with Nokia's 'Communities' on board, as well as a landscape-centric 2.4-inch display. However, despite only offering up GPRS/EDGE connectivity, the price is still higher than the C2 at roughly £65. 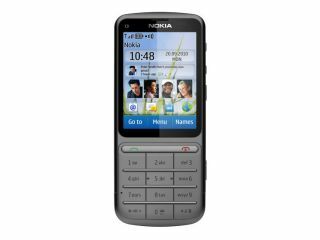 And finally, the Nokia C3-01 Touch and Type is finally shipping to the UK, which is essentially a lot like the C2, but with a much higher spec list: HSDPA connectivity, a 5MP camera with single LED flash and up to 32GB of memory. It's also packing S60 for an operating system, so it can access the shiny and exciting work of the Nokia Ovi Store too. However, it's not going to be cheap: a premium full metal chassis has hiked the cost of £160 SIM free. The Nokia X2 is set to debut later this year, with the C2 set for a Q1 2011 UK release date.